What will you do differently for Christmas 2019? Thread: What will you do differently for Christmas 2019? Had already decided to check to see if any of the banks do Christmas Club. If not maybe start a envelope system. Payroll does it but I truly don't see us being still in business then. Maybe start paying more attention to sale items when out and/or clearance. I say this every year. Maybe this time I can stick to it. I wish stores still did lay a ways all year. Most don't do them period. We just talked about how much we miss lay away. I don't know how people can do Christmas shopping without it. I am lucky that we have a small family so not alot of gift buying. Heck I used it all year. Our credit union used to have a Christmas Club. I just might check into it and see if they still offer it. Honestly, there's really nothing more I can do on top of what I'm already doing. I've pared-down the number of presents and things I buy already, and I keep a sharp-eye open for savings wherever and whenever I can. 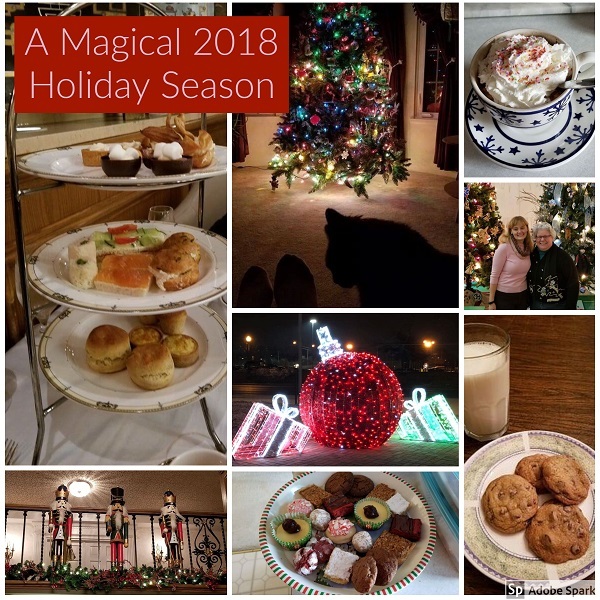 Figure in the fact that dear husband and I stay home throughout the holiday season, which equates to no meals out, etc, I believe I've whittled it down as far as I can and am pleased with numbers and figures related to, so I see no change. In addition to, I always start early when it comes to shopping, so there's no mad-rush at the very end to take care of last minute this and that's, and that in itself equates to a huge monkey off my back. I will scale back on food, I always plan for too much food. We revived the open house we hadn't done for years and it was great. close friends and family came and it was a success. I usually look for deals and things that the kids would like. I may start buying some gift cards throughout the year. Plan on crocheting more for gifts on hand. I really like the idea of the gift cards other than as presents themselves after thinking about it. Our bank does Visa GC's in increments of $25. I bought some last year and and this year both to use as gifts. They don't expire and don't have activation fee like buying one elsewhere .. meaning MC or Visa. I may pick one up every month and carry so I have them if a sale/clearance smacks me and I don't have side money. I can pick up on a good week with not a lot going out or less groceries week. Plus if any left over I can use it as a gift. This is workable for me. I had an awesome Christmas and holiday season. It was pretty close to perfect! I'm so glad I made the choice several years ago to focus on experiences/spending time with family/friends and not gifts. What will you do differently--Christmas '18? Christmas 2016--What will you do differently? Christmas 2015--What will you do differently? What do you plan to do differently for Christmas 2008?